with any cards that are redemptions (The Bar) shipped for free to those who pull them. 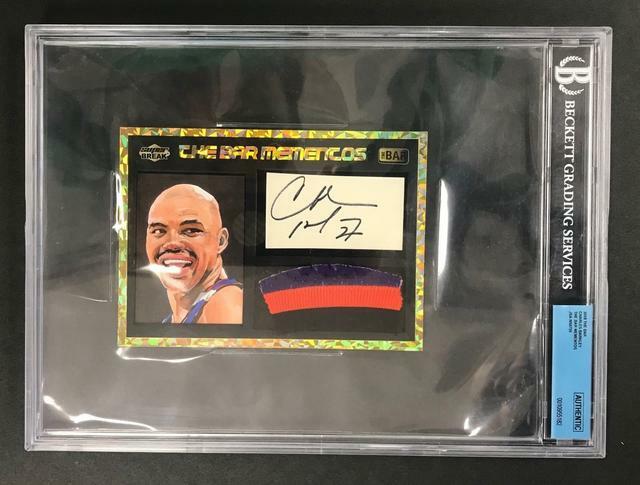 2018 Super Break Super Packs Basketball Series 1 delivers (1-2) Premium Buyback Cards in Every Box! This 100% buyback card edition is built with top Hall of Fame players, hot, new Rookies & veteran, superstars! Major effort has gone into this product’s build-out to insure a great break for all! 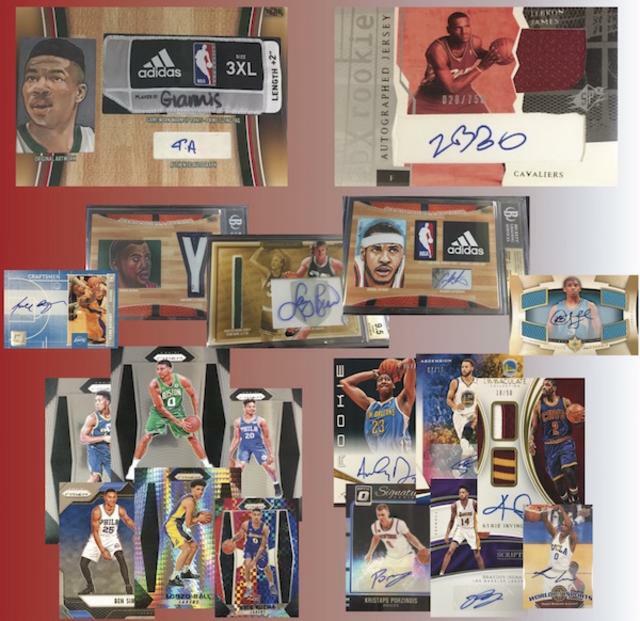 and raw cards from the NBA’s past and even some notables from the present. The three-box cases will carry a suggested retail price of $399.95. 1-2 Premium Buyback Cards in Every Box! 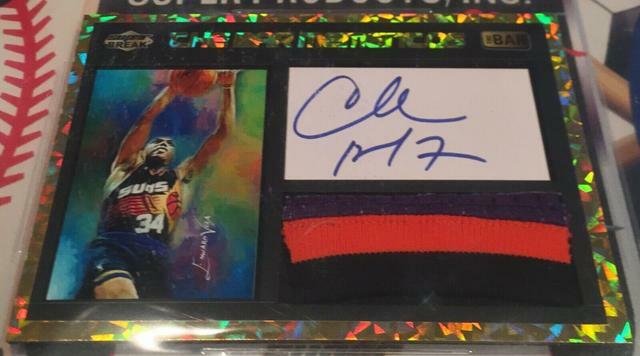 1/1’s, Tags, Logos & MORE!! Dernière modification par Eyeshield21 le 11 janv. 2019, 13:52, modifié 7 fois. from the past and present all in one place. Keep reading for more info and a selection of images. 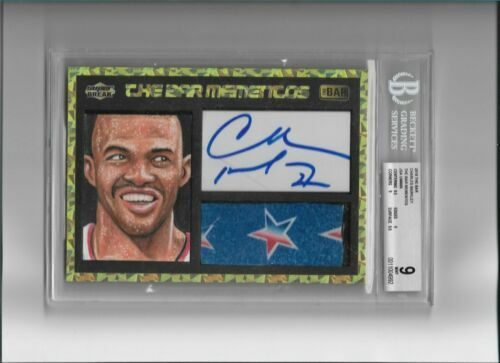 buyback, certified vintage or modern memorabilia piece. all choice pieces," according to the company. the artwork and get it slabbed. or Modern Memorabilia Item in Every Box! - 1 Premium Memento in Every Box! - Look for BONUS BOXES with up to 5 Items! to make your own BGS Slabbed The Bar Mementos! 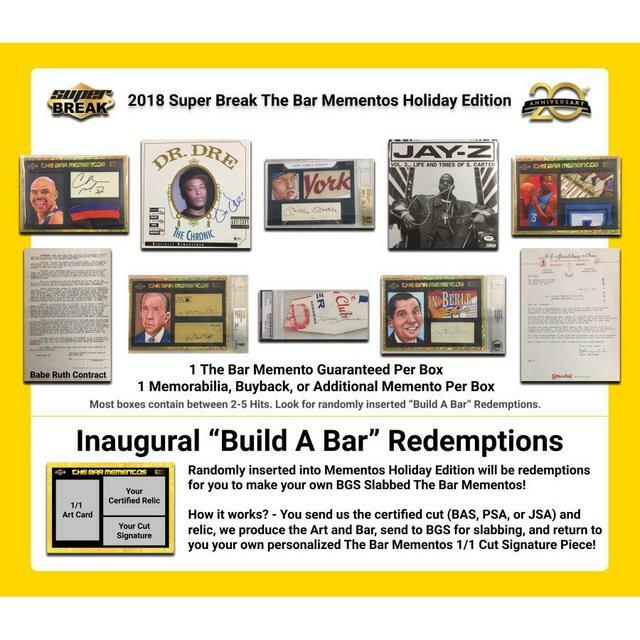 personalized The Bar Memento 1/1 Cut Signature Piece!